Includes 10 previously unreleased tracks on CD! 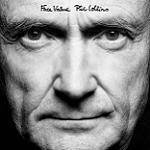 More information: Phil Collins revisits a career that can boast over 100 million sales and numerous worldwide #1 albums. Face Value has been remastered by Nick Davis, who earned a Grammy nomination for Best Surround Sound album for his work on the Genesis ‘1970-1975’ box set. Davis has also worked on all of the Genesis retrospective reissues. Entirely curated and compiled by Collins himself, his idea for the releases was to examine how his songs have evolved over time, with the majority of the additional content throughout these releases focused on live versions of the tracks. By contrasting the original studio versions of the material with later performances, the series demonstrates how Collins’ songs take on a life of their own once they’re freed from the confines of the studio. Initially released shortly after Collins’ 30th birthday, ‘Face Value’ was propelled to international multi-Platinum status with the help of the smash hit single ‘In The Air Tonight’. Other notable tracks on the album include the follow-up singles ‘I Missed Again’ and ‘If Leaving Me Is Easy’, as well as ‘Behind The Lines’ which was written with Collins’ Genesis colleagues Tony Banks and Mike Rutherford.